OrderPaperToday – Beneath the glow of Abuja’s city centre lies an underbelly of aboriginal squalor foisted and sustained by a brazen neglect by the state. 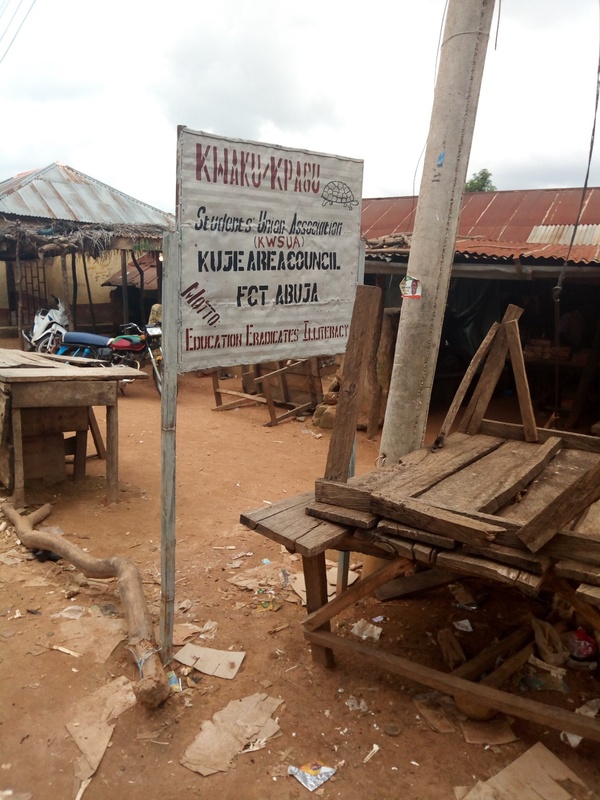 Lizzy Chirkpi reports on the forgotten communities of Kuje, one of the six area councils that make up Nigeria’s federal capital territory. The Federal Capital Territory (FCT) is the seat of power in Nigeria. But beyond the impressive outlook of the heart of the city are some villages, shanties and slums lying on the fringes of civilization. The lack of basic amenities and infrastructures like portable water, electricity, schools, access roads, healthcare facilities etc, typify some of the remote settlements of Abuja. The case of Kwaku, a community in Kuje exemplifies the paradox of poverty amidst affluence that is much of the story of Nigeria today. Kwaku is a community with 22 villages and a population of about 5000 people. It is an agrarian community with the aborigines engaging in crop farming while a settler tribe of Fulanis undertake cattle rearing. There are also a crop of Igbo folks who are petty traders. In spite of this mix of breeds, it is much of a peaceful community. But that is about all to it as the rest of the story of Kwaku is summarized by a strong lack of government presence. This makes poverty, deprivation and fear of epidemic outbreaks the reality of life in the area. 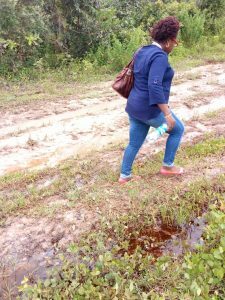 For instance, the only motorable road to the place is through Kuaita, a community in Abaji area council. This stretch is over 60km and travelling through much of it is a torment, especially during the rainy season when the visit was made. The OrderPaperNG crew experienced first-hand what the people are made to suffer by a government which care less about its people. At a point, vehicular commute comes to an unavoidable end and the only option was motor bikes, popularly called Okada. 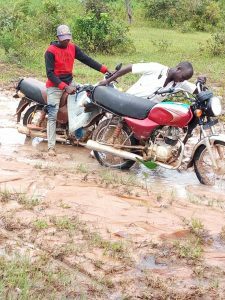 Even with the bikes, rummaging through the mud and swathes of dust intermittently was hellish as there were occasions when both rider and passenger had to disembark and the machine virtually lifted over flooded paths to firmer sod in order to continue the trip. At such difficult moments, there were youths on hand to help in the push and navigation. Commuting to and within the community is particularly challenging for farmers who find it difficult to transport their produce to the city. Even locals who engage in buying and selling of these produce cannot access the villages in the period of rains. An interaction with the Chief of Kwaku community, Mr. Abubakar Ishaku, reveals the pains the people are made to bear under lack of access roads and other amenities that make for a bearable living condition. 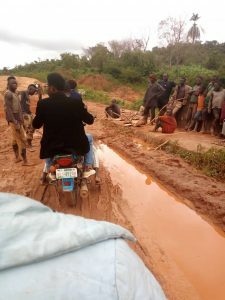 He told OrderPaperNG in a tone of lamentation thus: “As you can see we don’t have roads that my people can transport their crops to the city to sell and we depend solely on farming. He also spoke on the challenge of drinking water for inhabitants. “Another issue is potable drinking water despite efforts by past governments and lawmakers whom have embarked on construction of modern boreholes to ensure availability of water, it is either the solar panel develops fault and nobody to repair it (and when they are powered by generators) there is nobody to buy diesel for that purpose. So most of the boreholes are no more functioning and during dry season my people usually look for water.” OrderPaperNG observed during the trip that local folks take to virtually all of their water needs including drinking, washing and bathing, from the Gaye river which runs through the villages of the community. Mr. Ishaku also appealed to the government to built more schools and health facilities stressing that existing ones are either not enough or well-equipped to standard. But is the government listening? 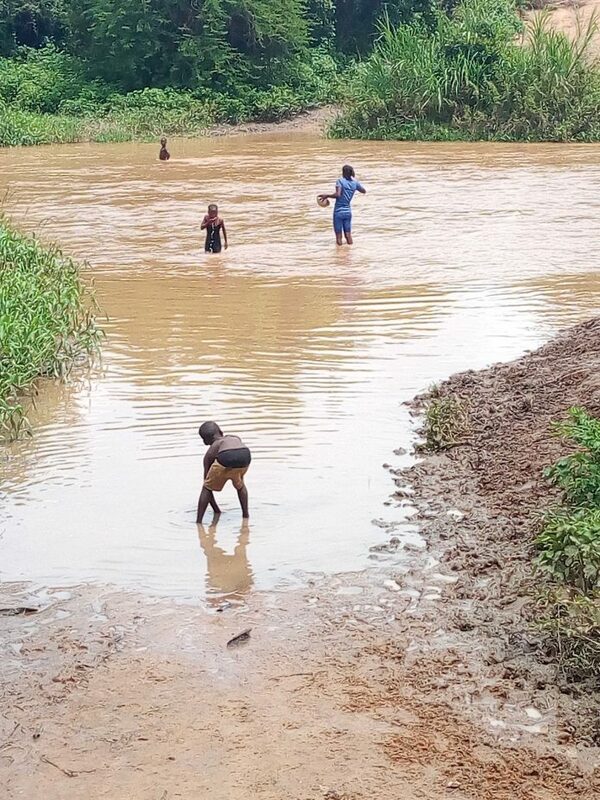 Will help come the way of Kwaku community soon?